Home » Blog » Happy Retirement Gary! 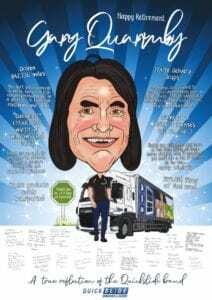 Thank you to our driver Gary for safely transporting our windows and doors for a total of 4884 days. During Gary’s time at Quickslide he’s driven 842,736 miles, delivered 83,651 windows and doors in 17,498 delivery drops. Gary’s been with us since the day Quickslide was formed so it’s with great sadness that we after so many years have to see him go. 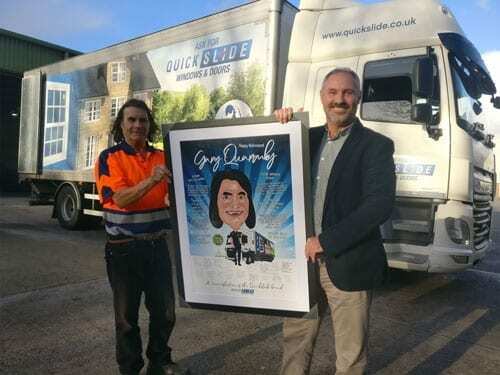 From everyone at Quickslide we wish Gary a well-deserved retirement.